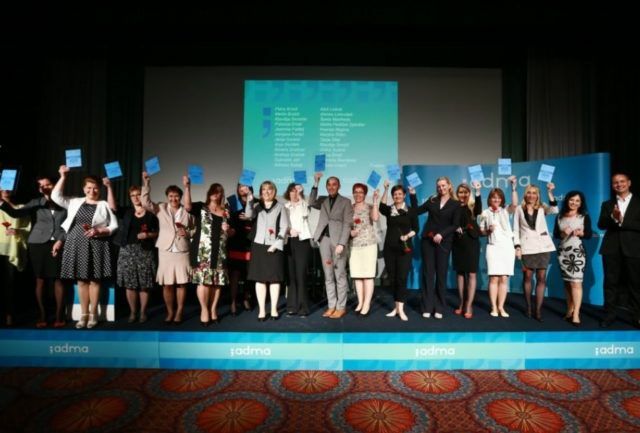 The 24th ADMA congress was held from 19 to 21 May 2016 in the coastal town of Portorož, in Grand Hotel Bernardin. The Congress of business assistants, secretaries and heads of offices successfully presented new practices, connected all those working in the field of administration and management and awarded The Secretary of the year 2016. Due to the top-notch congress package that next to accommodation, conference facilities and reception areas includes also a full catering service, ADMA congress loves to return to Grand Hotel Bernardin. While the conference was held entirely in the congress center of Grand Hotel Bernardin, the evening events were a great chance for the delegates to get to know the local towns of Portorož and Piran. Over three days the delegates were able to listen to almost 30 international speakers. When creating the programme the organizers focused on professionalism, personality and skills, which are needed for the successful pursuit of the spirit of productive growth and the desire for promotion. They also added three additional lectures for all employed in the health care sector. The highlight of the event was the announcement of The Secretary of the year, a title that went to the best secretary of 2016. The award with a 20 year-old tradition was given into the hands of Jasmina Alć by the president of the Republic of Slovenia, Mr. Borut Pahor.